Parkin is a traditional Yorkshire cake made with oatmeal, ginger and black treacle. (There's a nice vegan and sugarless version right here.) These flapjacks are made with oats, ginger/ cardamom and black treacle, therefore they are parkin flapjacks. Just like Yorkshire parkin. Only more biscuit-y. With me? Makes 12 (sorry the measurements are in Imperial/ all over the place today, as I was using my mum's recipe as the basis. Melt together the sugar and treacle in a large pan, using a gentle heat. Mix a small handful of the oats with about half a cup of water (1 cup =250ml) and the oil. Add this mixture to the pan, stirring well. Turn off the heat and add all the other ingredients. Press down firmly into an oiled shallow baking tray or Swiss roll tin and bake for about 20-25 minutes in an oven preheated to 180C. For crispier flapjacks (ours were crunchy at the edges and chewier from the middle of the tray) you could either lower the heat to 150C and bake for longer or use a larger tray and spread the mixture more thinly. 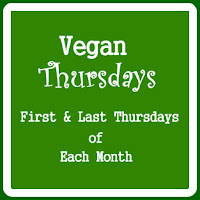 This was a Vegan Thursdays post- please get in touch if you'd like to join the group. Thats super nutty and healthy flapjacks,love to munch some anytime. love this new look, flapjacks looks super yummy and healthy.